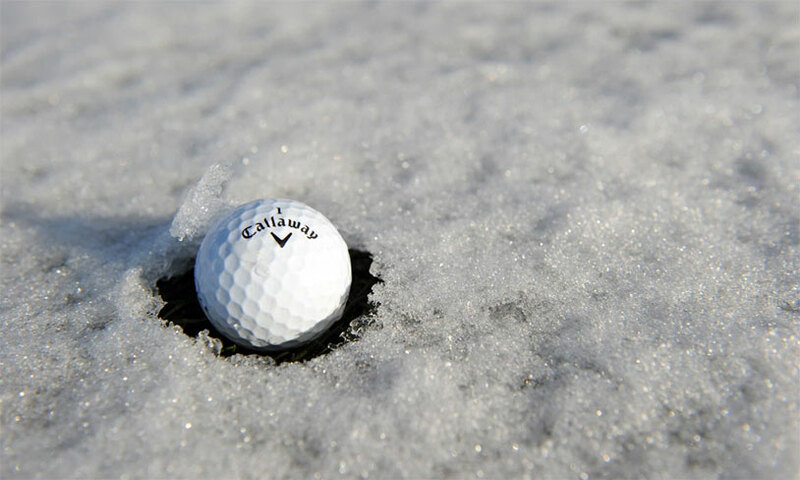 Do Cold Golf Balls Lose Distance? Golf is one of those sports that’s cery weather dependent – you typically don’t see duffers out on the links when the climate gets rainy, for example. But cold weather has traditionally not deterred golfers from taking eighteen holes. However, some new research indicates that cold golf balls might not be able to go the distance. Golf Digest went into the physics behind cold golf, and here are some tips. First off, cold air is heavier than warm air, and thus provides more drag on balls when they’re hit. That drag works out to one yard of carry for every 10-degree change in temperature. In this case, it’s not the temperature of the balls themselves that makes the difference. In addition, warming up golf balls is actually against the rules of the game! What you really need to worry about, though, is your clubs. The coefficient of thermal expansion means that the steel in your shafts will expand and contract at different rates in cold temperatures, meaning they can crack and warp if the temperature shift is too severe. Graphite shafts are less vulnerable to this. In addition, your grips can get slick and damaged by too cold temperatures. In general, if you dig winter golf, bundle both yourself and your clubs up for the day. Read more at Golf Digest.